Drum Flaker is used primarily to process chemicals and pharmaceutical products and food industries.With the drum flakes, molten material is converted to solid material by applying a thin layer of molten material on the outside of internally cooling rotating drum by bottom dip tray. 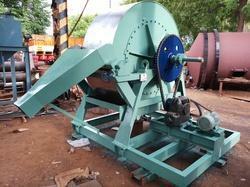 In this process, heat is extracted from the product by contact of cooled drum and the product get solidified. A stationary scraper blade removes and breaks up the solid layer and makes the solid material as flakes. The required flakes thickness was achieved by drum rotating speed , gap between drum and the blade and knife angle. Based on customer requirements and output range The drum flakes will be designed. MOC of drum flakes: L ,SS 304 3L, Ms. 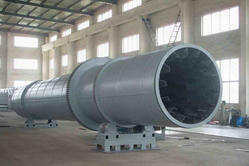 Looking for Drum Dryer ?